The approach to training athletes has evolved rapidly over the last few decades with the emergence of technology in sports. The insights that Sports Science has uncovered has forever changed the fundamental ways coaches and trainers are working with their athletes. Ted Johnson is one of those performance coaches who has embraced all that Sports Science has to offer. 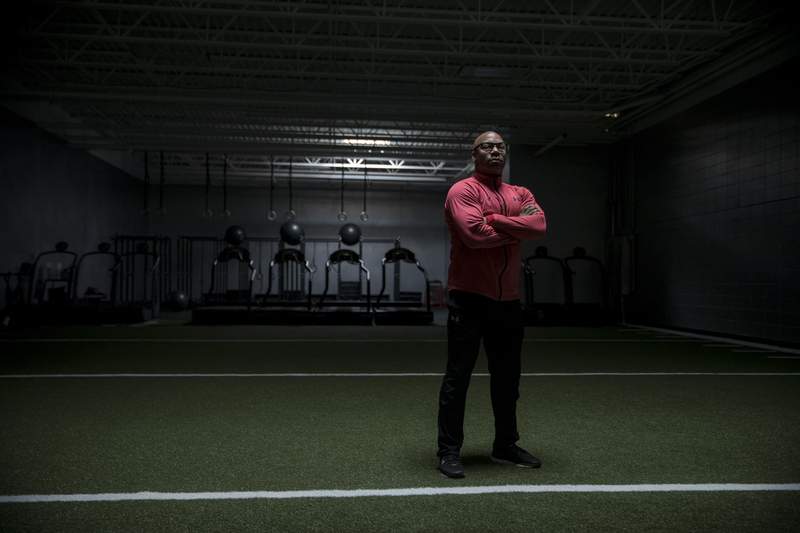 Early on he created an entirely new philosophy around the way he trains elite athletes at his facility, Performance Athletix. As the founder and Director of Sports Science, he&apos;s passionate about developing athletes because he wants to help those who don’t have all the information and guidance they need to succeed and get the most out of their performance. Ted built Performance Athletix on a pure and simple foundation: the cardiovascular and cardiorespiratory component of performance. "When you look at the science of high-level athlete development, power/weight ratio, proprioception, kinesthetic awareness in sports, it is all centered around being physically fit and being able to perform at the highest level," says Ted. "What drew me to this style of training was my own experience, and the overload in the injuries, and several of the drawbacks that happened as a result of using external stimuli, or loaded, or weighted resistance." says Ted. In an effort to stay on top of the ever-evolving sports performance technology market, Ted was scouring the internet for any technology that could help give his athletes an edge when he discovered Athos. Ted was attracted by the ability to connect the dots, "The connection between the mind and body is crucial because it creates a level of awareness about movement and then you&apos;re able to quantify your performance in a way that wasn&apos;t possible before," says Ted. Ted&apos;s first experience using Athos was putting on the gear and calibrating which he likened to putting on a suit of armor and preparing for battle. "It made me feel that way because any athlete that&apos;s ever put on that uniform for the first time, suiting up for practice or the big game, it&apos;s visceral, you can feel it in your bones. Clicking in the cores, hearing them snap, then hitting the app and seeing your muscles light up in front of you is an experience unlike anything I ever had," says Ted. Using Athos has changed the way Ted&apos;s athletes think about their bodies and how they move. The mind-body connection Ted was going for was exactly what Athos created. Athos helps athletes know if their glute is firing when intended, and if not it&apos;ll help uncover why it isn&apos;t. It also helps athletes know what cue they’re following to get that result and this has helped create movement memory that&apos;s translated directly to their performance. Another positive coming from using Athos and creating this connection between the mind and body is that it&apos;s helped to build trust between coaches and athletes. This trust comes from knowing that all the data points and information that they receive from their coaches is completely accurate and not speculative. "We can&apos;t lie to them about how strong they are, but also we couldn&apos;t tell them how strong they&apos;re not. They would be able to see it, so it keeps both people accountable about the truth of what their performance is. It&apos;s a transparent process. It makes it very real," says Ted. The athletes who work with Ted and his team have embraced the culture built around integrating Athos into their everyday training. "How would our athletes feel not having Athos? Naked. We&apos;ve had people drive here and forget a shirt or forget a short and ask to borrow mine or ask to borrow someone else&apos;s. We&apos;ve also had athletes drive 45 minutes one way, forget their gear, go home and get it. They feel naked without it, they can&apos;t train without it," says Ted. The first step Ted took when onboarding his athletes following calibration to test each muscle&apos;s strength, was to baseline each individual. "Every athlete goes through a really big assessment, and then after that assessment, they do three workouts where they establish a baselines," says Ted. 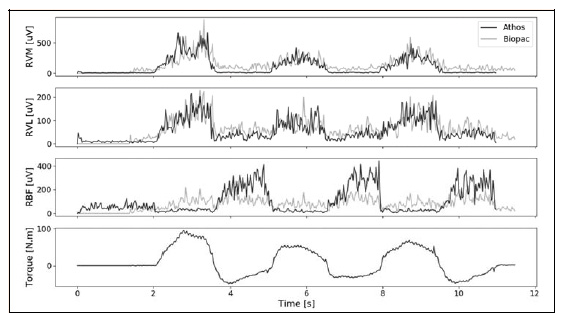 After calibration and baselining, Ted and his team like to provide the athlete with their own "ah ha moment" by showing their muscles firing in real-time. They do this because as the athletes watch their biofeedback, they tend to get very intrigued and the team gains their trust. 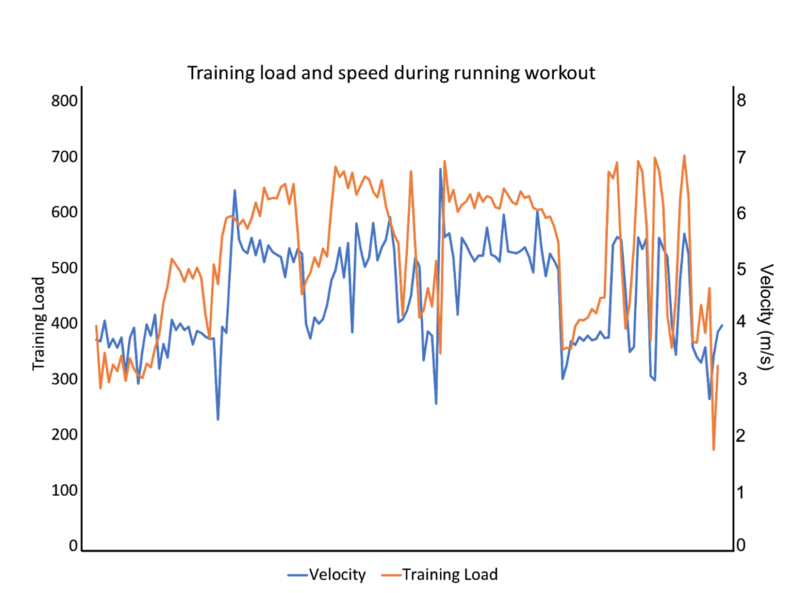 "In the past, we just used our visual, the execution of technique and/or the increase in output in reps as a metric to decide when an athlete changes. Now we decide when an athlete changes a movement or progression in a 48-hour period, that’s unprecedented," says Ted. Unlocking these insights have allowed Ted and his staff to improve the way they coach in the moment. Monitoring live-view allows them to stop the drill if an athlete isn&apos;t activating the correct muscles and cue them until the technique is correct. "With Athos, there&apos;s no guesswork. So this allows us to coach technique at the highest level because we can see the way that muscles work in relationship to the baseline that the athletes have established and we can coach them from there," says Ted. Taking this guesswork out of the entire process is something Ted describes as a paradigm shift in thinking within the performance world. Seeing athletes balance, training load and muscle contribution is unprecedented and has allowed him to make fewer mistakes because they&apos;re able to make adjustments on the fly to ensure efficiency. Ted believes that understanding an athlete&apos;s Athos Training Load is one of the most important metrics for coaches to understand. Athletes can often risk over training, but with understanding overall training load comes confidence for coaches, knowing that they are pushing just the right amount without risking their athletes&apos; health. 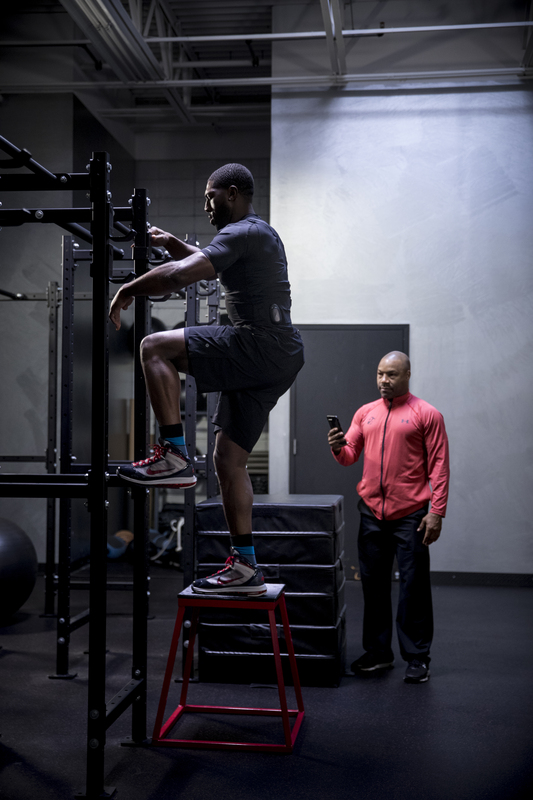 Quantifying an athlete&apos;s movements has allowed Ted and his staff to engage in conversations with the athletes in a way they&apos;ve never been able to do before. The value in learning and understanding how an athlete goes about becoming more efficient over time is a breakthrough in this feedback process between coach and athlete. Their progress is something that allows athletes to both quantify and analyze, making them a big part of the process. The Online Training Center is another tool that coaches like Ted find immensely helpful in identifying actionable insights. The first of which is the Athos Program Builder. "I can pick a movement and label it. I can choose targets, add body weight and this pre-programming allows the athlete to get right to it," says Ted. Using this software allows for an easy way to analyze progression and regression for athletes. "We&apos;re looking for an increase in output in either muscle activation or muscle effort, but we&apos;re also looking to see if that manifests itself in this person having higher repetition count. Then we look at if they are getting better technique, are they getting greater muscle effort? If they&apos;re getting greater muscle effort, are they getting greater muscle activation? If those three things are happening then we know that this athlete should progress. If two of those three things aren&apos;t happening, then an athlete in our program automatically gets regressed back to a lesser demanding movement in that hierarchy," says Ted. "What I like most about the individualized nature of the data that Athos provides, is simply that, the individualized nature of it. In most training, without technology like this, it&apos;s really hard to individualize all of the different components of what athletes do. It&apos;s very easy to show them incremental success or incremental improvement. And then when we have areas that are deficient, these are things that we can catch a lot sooner, and then help athletes improve on those particular areas of need right away," says Ted. The awareness created between the athlete and the way their body moves has been the largest success that Ted has seen in using Athos. "They know the role that their groin plays because the inner quad lights up. And to go watch them execute that on the court, the level of awareness they have, and how they move, I would say is the largest impact that training in the gear has on those particular athletes. And then, you can actually see it in their performances," says Ted. Ted has achieved success with this approach when training elite collegiate and professional athletes he works with, some of which have gone on to be champions in their respective leagues. 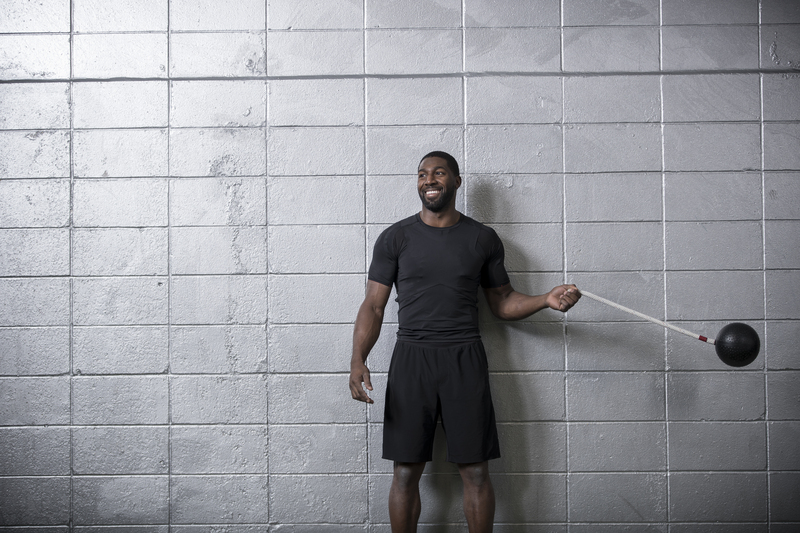 Super Bowl Champion Greg Jennings trains with Ted using Athos and while he was skeptical at first, he&apos;s found that Athos has truly made an impact in his performance. "He&apos;s as explosive as he&apos;s ever been. He&apos;s as quick as he&apos;s ever been, as fast as he&apos;s ever been in his life. And all of this is, I would say, is due to the use of Athos. It closed the gap for him in terms of understanding his movements and then how they manifest in training," says Ted. The aspect that created the most buy-in for Greg was seeing Athos data in action every day helping him better understand his movements. Embracing this cutting-edge technology has been one of the biggest difference makers with getting the absolute best performance out of his athletes. "It allows them to separate themselves from their peers, head and shoulders. The feedback that we&apos;ve received is, they wonder how they&apos;ve been able to make it this far without it," says Ted.